Relate: Two words: Russian Roulette. Do you know what that is? Have you ever heard of the game? Why is that? Did you ever think about that? If, to one degree or another, it wasn’t a thing, would anyone know what it is? I don’t know what that number or threshold is, but it takes a certain number of people to actually play the game for it to become part of our nomenclature today. Do you honestly think anyone is really that stupid to play it? Apparently, somewhere there are people that dumb. I do remember this one story about a dumb decision that was taken by someone in a car, but not behind the wheel. The subject’s name was Tamara Batiste and she took backseat driving to a whole new level. Her boyfriend was taking her to work and they were apparently in the middle of an argument. The fight took a turn in the direction of how he was driving too slow with the express desire to keep her from getting to work on time. Tamara’s nagging wasn’t motivating him enough to speed up so she felt the need to illustrate her point. She told him it would be faster to walk to work than ride with him. Then she opened the passenger door and stuck her foot out as a threat to actually get out of the car and walk. She then ended up falling out of the car. Since the vehicle was currently moving along at normal speed for the highway they were on, Tamera did not survive the fall. Her plan to get to work a little faster apparently didn’t quite pan out as she imagined it. React: It is easy for me to sit back and laugh at the people who commit such blatant acts of stupidity. It is easy to see in hindsight how dumb people can be at times. But how many times, on a spiritual level am I acting just as stupid? From the perspective of an observer from heaven, how dumb must my sin, my rebellion to God really look? Beyond the sin, how dumb do my ideas of how things should go look from the perspective of eternity? How often are my prayers really just a religious way for me to offer “advice” to God about how things should be? God has a much better plan for my life than I could ever dream up. He’s written out a rulebook for how I can live my life to the fullest. He’s waiting there to help me follow it. Why am I so often, so unwilling to follow His plan? I know that You have a better plan than any I could dream up. I know that, compared to Your omniscience, the sum of my intelligence amounts only to a pile of stupidity. I know this. I know that I know it. Yet so often I still insist on doing things my own way. Help me to stop myself when I begin to wander off in my own direction. 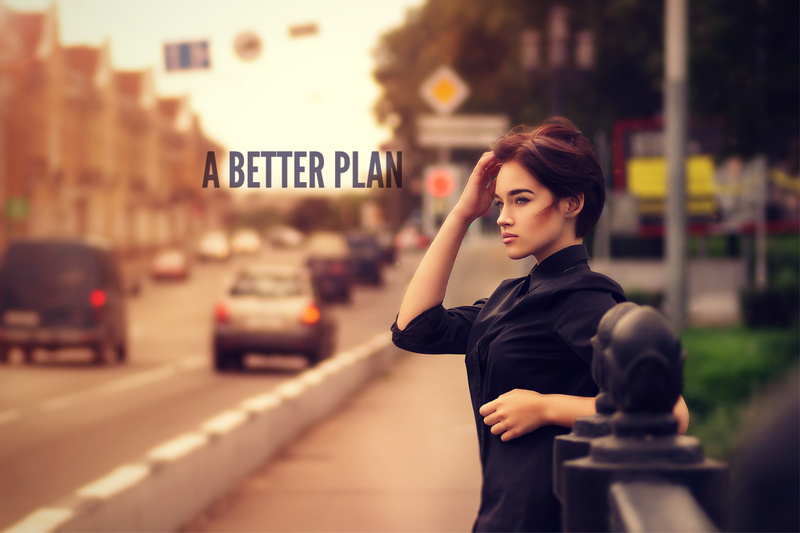 Help me to see how much better Your plan really is. Every day, on every step of my journey, lead me, Lord, and help me to follow.